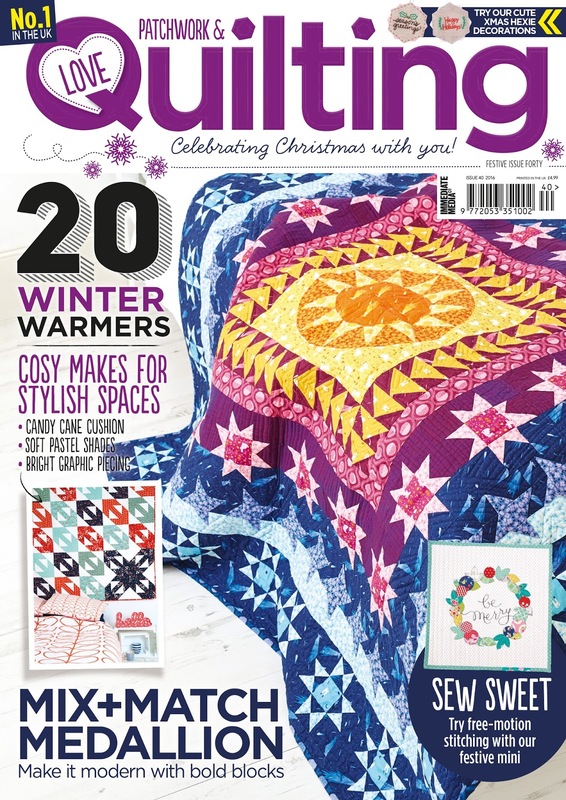 Earlier this month, issue 40 of Love Patchwork & Quilting magazine went on sale in the UK with my Satellite Medallion on the cover! This is my first time being published in a magazine, so being on the cover of my favorite quilt mag is extra surreal. 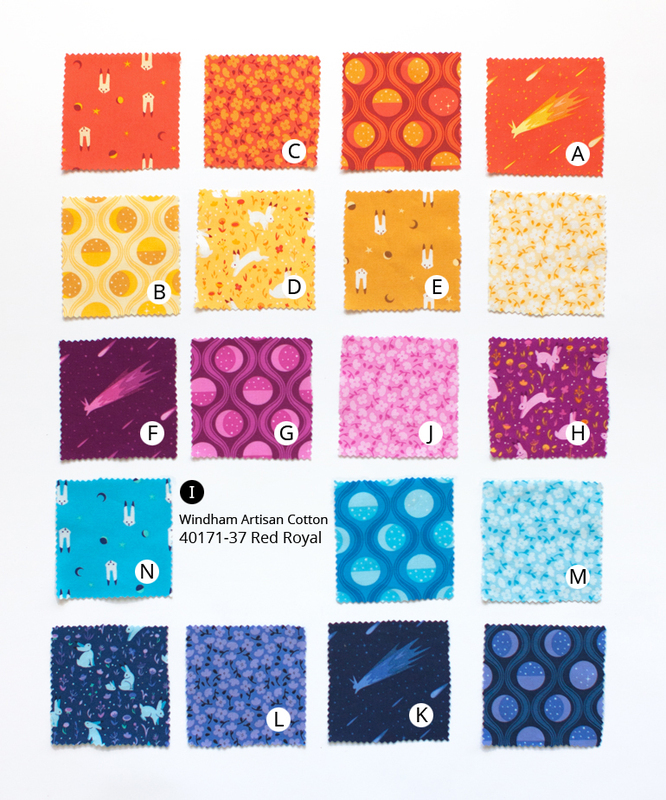 Someone on Instagram asked for a quick visual fabric key for the pattern (prints are listed as Fabrics A-N) and I'm happy to oblige for those who want to duplicate this quilt! I've added the corresponding letters to the swatch photo below. The only fabric not pictured is Fabric I, a coordinating Artisan Cotton (40171 Red-Royal) from Windham. I believe it's listed as "Blue Red" on Hawthrone Threads. It's a lovely cross-weave with an iridescent quality, so I highly suggest using it instead of substituting a traditional solid. Brilliant! I'll have to see if the fabric stores or Barnes and Noble have this copy! SO NEAT! THANKS FOR SHARING!! !